We are Lovers of the Argentine Tango and the City of Buenos Aires. Victoria Luna considers herself to be a "media porteña" from California and has been traveling to Buenos Aires for more than a decade and has lived in here in the city since 2006, English her native language, but is comfortable with Castellano. Rob is a Dutch Import; fluent in Dutch, English, German, comfortable with Castellano and also has a touch of French. Our goal is to make your trip as pleasant and successful as possible. We know the city very well and have accumulated a vast amount of resources for the avid Tango Dancer and Shoppers. Often times we are able to secure the best seats available in the Milongas; and guide you with the best Directions to your Destinations. 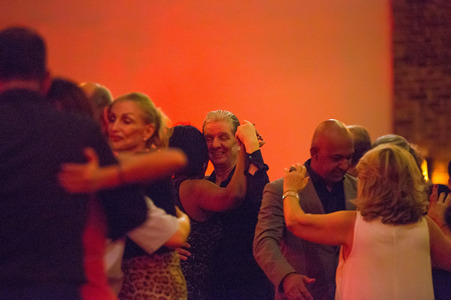 One of the Greatest Gifts we can offer you is the knowledge of which Milonga is the Best Place to dance on any given day or evening. There are many, many selections to choose from....but; unfortunately not every day is a good choice for any given venue. It is important to know "where the Tango Ship" docks.